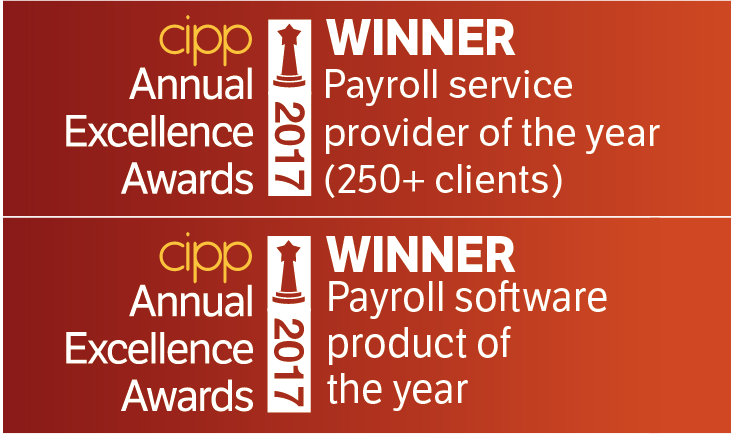 LONDON, UK – 06th October 2017 – HR and Payroll leader NGA Human Resources, has won the Payroll Software Product of the Year and Payroll Service Provider of the Year for the second year running at the CIPP (Chartered Institute of Payroll Professionals) Annual Excellence Awards. Held at the Celtic Manor Resort in Newport, the prestigious event was hosted by Sir Trevor McDonald and attended by the industry’s leading suppliers. The CIPP Annual Excellence Awards are the longest running awards in the industry, currently in their 14th year and recognise the payroll and pension professionals who have made an outstanding contribution and demonstrated commitment to excellence in the industry. NGA HR are experts in Payroll Outsourcing and have one of the largest footprints of any provider delivering 59m payslips per year in the UK across 4.9m employees. NGA HR have invested heavily in their flagship product, NGA ResourceLink over recent years and the latest version of ResourceLink (ResourceLink 19) brings substantial updates and efficiencies, including in recruitment and onboarding. Additionally, ResourceLink 19 introduces a new time and attendance module that enables users to easily clock in/out and access intuitive dashboards for managers to monitor time rosters and schedules in real time. “Our submissions for the awards included very strong testimonials from our customers, who endorsed our entry and explained the positive impact our services are having on their businesses. These highlighted the benefits of the new modules and the increased functionality embedded in the latest version of our software solution, NGA ResourceLink 19. I’m delighted by winning these awards which are testaments to the incredible hard work of our teams and the confidence expressed in us by our customers”. said Jonathan Legdon, President of NGA UK and Ireland. In announcing the award, the CIPP highlighted the strength of relationship NGA HR has with its clients as well the development which had gone into the creating the new modules in ResourceLink. NGA ResourceLink is the most advanced, integrated and insightful HR and Payroll software in the UK and Ireland. A cloud-based solution, ResourceLink also incorporates a fully integrated HR and Payroll database that allows businesses to align their people to their strategy. It does this by allowing you to align each stage of the employee lifecycle, at an individual and macros level to your organisations strategy and goals. From ensuring that the right people are hired, on-boarded, developed, managed, rewarded, appraised, promoted and eventually, when appropriate, off-boarded – all in line with the business strategy. ResourceLink is NGA’s flagship HR and Payroll solution in the UK available On-Premise, via a SaaS model or as part of a Managed Service. NGA has 1,200 customers in the UK supporting approximately 4.9 million users. HR experience and insight, advanced technology platforms and applications, and a global portfolio of flexible service delivery options. Founded in 1969, NGA has over 44 years of experience in the IT industry. As a recognized global HR services leader, we have offices in 35 countries on five continents, supporting customers in more than 100 countries.